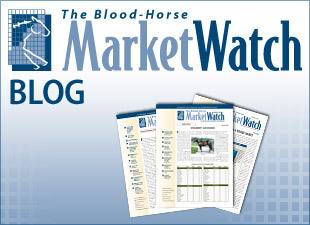 As has been previously discussed in MarketWatch, Comparable Index (CI) and Class Performance Index (CPI) are useful tools for breeders and buyers to estimate a stallion's level of mare support, but the figures can sometimes be misleading due to factors such as outliers and mare age. 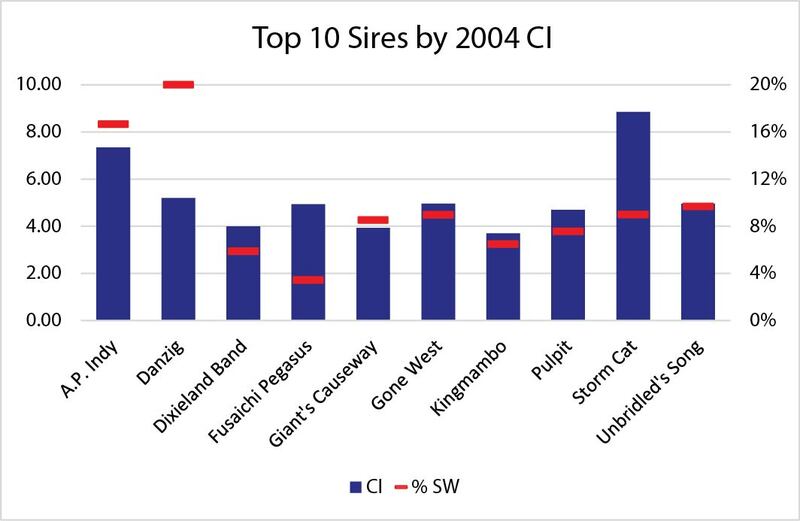 Shown below are the top 10 sires by 2004 CI and the stakes winner percentage for the resulting crop of racehorses. With the exception of Fusaichi Pegasus, whose 2004 crop was only his third, the stallions below were in the middle or near the end of illustrious careers. Storm Cat had the highest CI at 8.85 for a crop that ultimately included eight stakes winners (9.0%) from 89 foals. Danzig led by percentage of stakes winners (20%) with his penultimate crop of 30 foals. A.P. Indy was second by CI with 7.34 and had 17% stakes winners in a crop of 78. The chart below shows A.P. 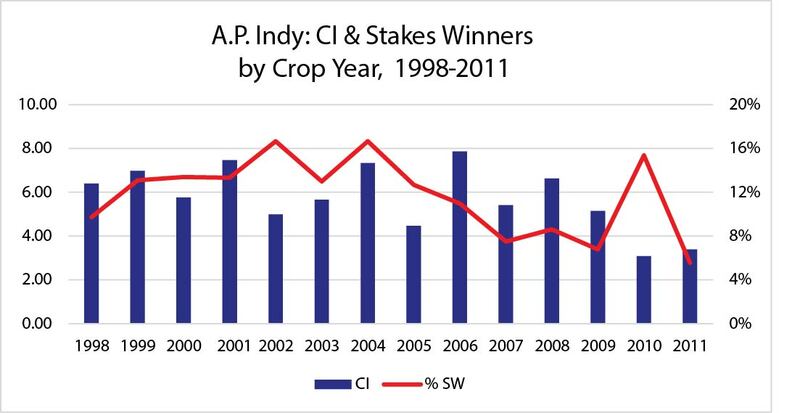 Indy's career from 1998-2011 by crop CI and stakes winner percentage. A.P. Indy sired a high percentage of stakes winners earlier in his career while being supported with strong books, but the correlation between CI and stakes winners became more erratic when mare quality was less consistent and book sizes declined.